We are very proud to announce that we have two wonderful veterinarians at BrownDog Lodge Veterinary Clinic. Dr. Jason Robinson and Dr. Lauren Fox are both very enthusiastic and knowledgeable in their profession and are big animal lovers. 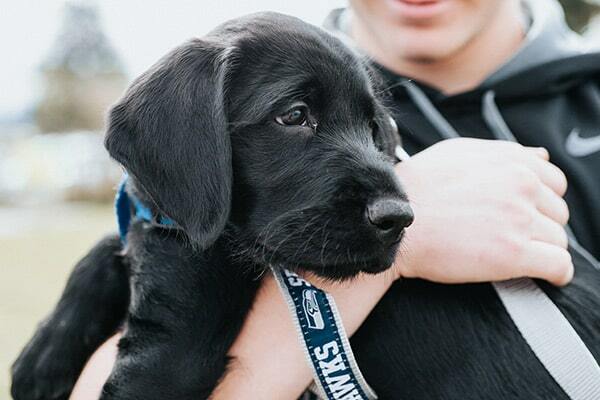 They are dedicated to providing the best care for your pets as well as a warm welcoming environment for pet owners. They look forward to meeting all of you and your furry family members! Dr. Jason Robinson joined BrownDog Lodge Veterinary Clinic November 27, 2017. Dr. Robinson was born in Little Rock but grew up in Memphis, TN and received his undergraduate degree from Louisiana State University. In 2003, he received his Doctorate of Veterinary Medicine from the University of Tennessee's College of Veterinary Medicine. He began working at Cloverleaf Animal Clinic as an associate veterinarian in March 2008. His interests include diagnostic ultrasonography, dermatology, neurology and dentistry. 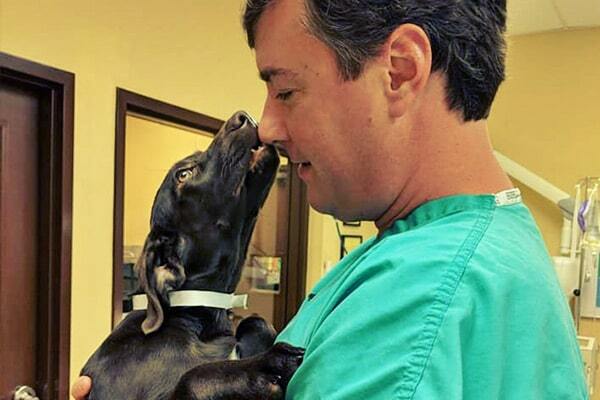 Dr. Robinson really enjoys meeting new puppies and helping them get off to a great start by providing guidance regarding training and socialization in addition to medical services. In his free time he enjoys running, hiking, skiing, snowboarding, and spending time outdoors. Dr. Robinson is the proud owner of Vol, a 13 year old Golden Retriever. In the short time he has been with us he has met several of you and looks forward to providing excellent care to you and your pets. 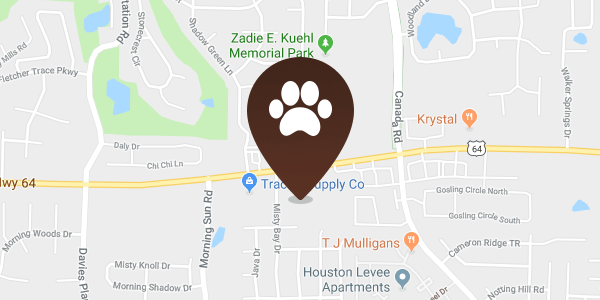 Dr. Lauren Fox joined BrownDog Lodge Veterinary Clinic on July 16, 2018. Dr. Fox was born and raised in Memphis, TN and was part of the first graduating class of Arlington High School. 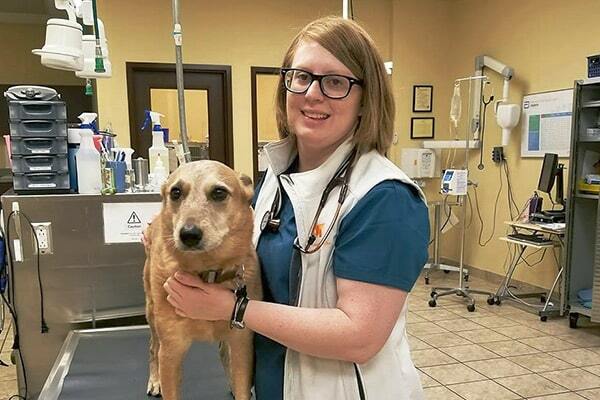 She graduated from the University of Tennessee at Martin with a BS in Animal Science, and then attended the University of Tennessee at Knoxville for veterinary school, graduating in 2016. She spent the past two years working alongside specialists in Dayton, Ohio and Phoenix, Arizona having gained valuable medical and surgical experience. She has special interests in surgery, dental care, internal medicine, nutrition, and small mammals including guinea pigs, rats, gerbils, and mice. In her spare time, she enjoys kayaking, backpacking, and arts & crafts when she is not spending time with her husband, son, three dogs, and two cats. She is happy to be back at home in Arlington, and looks forward to meeting everyone and caring for their pets here at BrownDog Lodge Veterinary Clinic.